Folderize - Add Folders to salesforce.com Content. 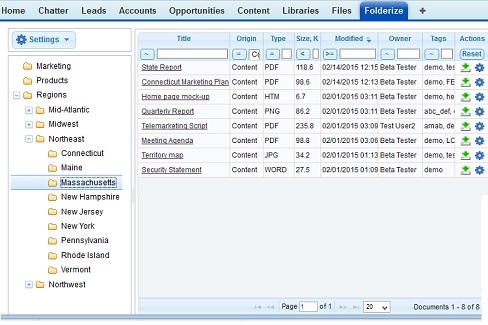 Folderize provides the "missing" folder structure for Salesforce Content/Files. Create a folder hierarchy of unlimited levels; then add Library documents to the folders. Or easily import folder structures and files from SharePoint or a local file server. Organize and browse Content/Files and Library documents within folders/subfolders for a traditional file-system style browsing experience. Works with Lightening Experience. Includes Salesforce1/mobile browsing interface. Available for Salesforce.com Communities, Portals, Chatter-Only users. Easily import folder structures (with files) from SharePoint libraries or from an intra-net file server, with the Folderize Replicator utility. 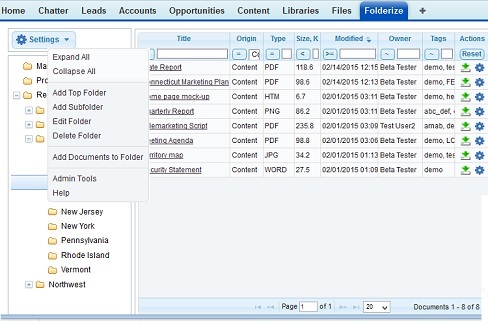 Folderize provides an alternative to the Salesforce Libraries and Files user interface. It offers a hierarchical structure helpful for organizing many types of document collections. A new tab brings the user to a page where one can set up folders and designate which documents or files appear in each folder. Users may browse, filter, and download. A Salesforce1 interface provides mobile access to the same folders. Folderize respects Library/Files sharing settings. Within any folder, users only will see documents for which they have access permission. The administrator may limit folder visibility or management privileges by Profile, Permission Set, or Sharing Settings. The Folderize Replicator utility enables you to easily copy folder structures with their files from SharePoint or a file server. 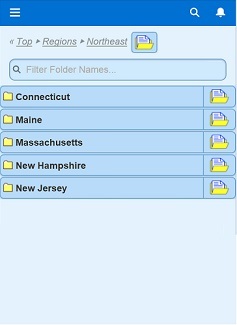 Nested folders and file locations will be preserved exactly as they appear in your local repository. 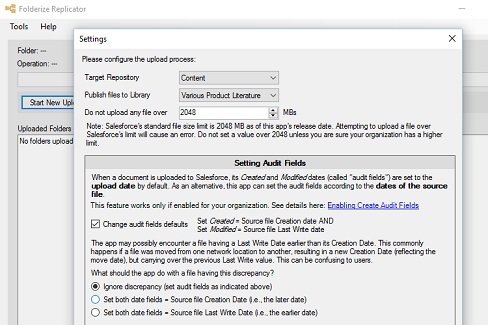 Folderize does NOT count against custom app, tab and object limits for your Salesforce org. The free version is fully functional, does not expire, and handles 500 documents. Contact ShareMethods for information about a license for unlimited documents. Click here to go to salesforce.com AppExchange for more information and to install Folderize.